I've made no qualms about owing some of my thinking about comics these days to the writings of Henry Jenkins. 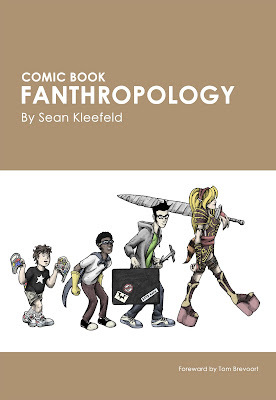 He does a fantastic job of presenting complex ideas in an easy-to-digest fashion, and I think any creator working in comics would do well to start paying attention to what he has to say. 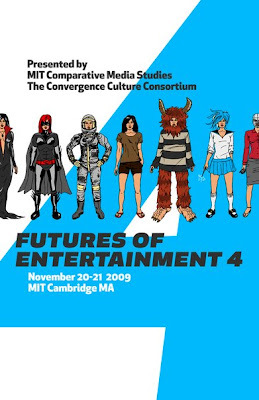 Case in point, here's his hour-long opening lecture at last month's Futures of Entertainment 4. He's able to distill the essence of transmedia entertainment very simply, and provides a wealth of accessible examples to make his point. Well worth listening to on its own merits, but for comic fans, he makes any number of references to and examples of comics. They were designed wholly independently of each other and seem to have different design origins, but they both very much speak to the notion of the individual consumer taking on different roles in the context of their favorite stories. I'd like to think that suggests that I have indeed hit on something significant with my book. Tell you what: go buy a copies of my and Jenkins' books, and you tell me if I'm on to something!